They led for 72 minutes of the match, but Glebe-Burwood suffered an agonising defeat at the hands of Wentworthville at Ringrose Park on Sunday afternoon. The Dirty Reds went into the match full of confidence, thanks to the late addition of three Newtown players in Charlton Schaafhausen, Addison Demetriou and Wes Lolo. And the visitors started with two quick tries to Lachlan Stein in the 2nd and 13th minute. Unfortunately, neither try was converted, and the Reds lead was restricted to 8 points. Despite dominating the opening 20 minutes, Glebe-Burwood were unable to add to their tally. In fact it was the Magpies who were next to score through Jack Miller on 28 minutes. With Beau Henry adding the extras, the lead was cut to just two. While both sides traded opportunities for the remainder of the half, Glebe-Burwood extended their lead thanks to a try to Ryan King just before half-time. On this occasion, Addison Demetriou added the extras and the Dirty Reds took a 14-6 lead into the break. But they were the last points Glebe-Burwood would score. An energised Wenty outfit – combined with a gale force wind kept the visitors camped in their own half for much of the second stanza. And while they defended stoutly, tries to Jordan Latham and Eparama Navale on 46 and 74 minutes saw the home side slowly wrested control – and the lead – away from Aaron Zammit’s men. In the end, Wentworthville snatched the win 16-14, leapfrogging the Dirty Reds into second place on the ladder (on 14 points) and relegating Glebe-Burwood to fourth place (on 12 points). 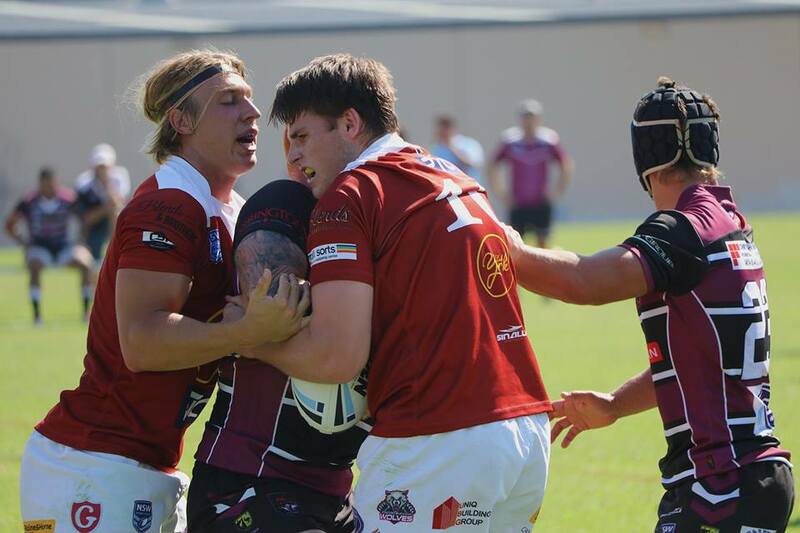 The Dirty Reds will be looking to hit back this Saturday afternoon when they take on 3rd placed Mounties at Henson Park. This is a home match with kick-off scheduled for 330pm. Newtown play Mounties in the Intrust Super Premiership immediately before at 1pm. See you all there. Up the Dirty Reds!